Perfect gift for father's day or birthdays. 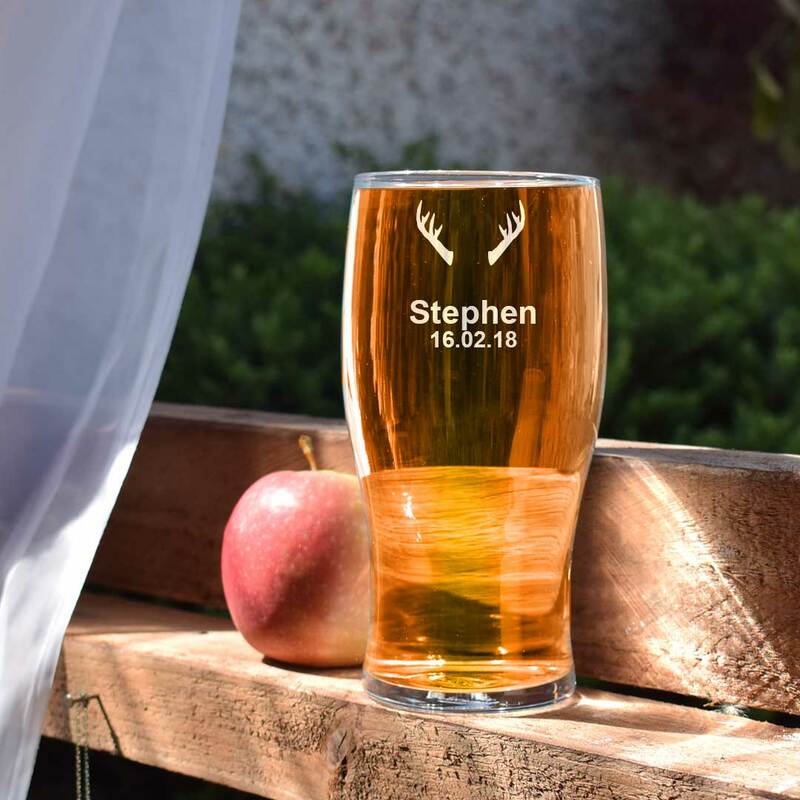 A personalised Pint glass with stag antlers. Write your recipients name and a significant date and we help you make a truly original gift.